We have had a great year of some great products having come in for review. Some are good, and some are better than others. We review based on design, features, quality, and performance. 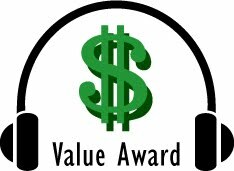 We have multiple levels of awards that can be earned based on those criteria. And the best of those products that come across my desk earn our Editor's Choice Award. 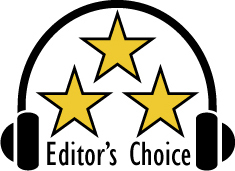 Every year, at the end of the year, we publish our annual Editor's Choice Awards. Here is this year's recipients, with links to the reviews of their outstanding product. Kudos to those manufacturers that have such great products! I continue to be amazed at what can be accomplished in terms of amazing products. There have been some awesome ideas and spectacular products. I can't wait to see what 2016 has in-store! To that, I bid to all a Happy Holidays and Happy New Years from us at Stereowiseplus.com! And stay tuned for what we have coming in 2016. When it comes to electronics, you tend to get what you pay for. With car stereo amps, you want clean sound and good power. And when you want massive power, one of the best out there is Massive Audio. They provide clean sound, and a lot of power to play loud. Up for review today it their Massive Audio D1600.4 four channel full range digital car amp. Designed and Engineered in U.S.A.
Dimensions 2.1" x 6.5" x 12.1"
The Massive Audio D1600.4 came in a nice looking black box, that seemed to open on a hinge. Opening the box showed a well protected amp. Also included was the manual, mounting screws, and allan wrenches. Materials used in the construction was mostly aluminum, and the quality of the material used was excellent. The build quality as well as the fit and finish was also excellent. The Massive Audio D1600.4 is a solid and well built amp. I love the design of the Massive Audio D1600.4. It has an industrial tough as nails look, and appropriately so. This is a seriously powerful and tough amp. The brushed aluminum cover helps give it this great look. The blue illuminated Massive Audio logo in the middle of the faceplate also adds a cool look. The right side houses the terminals for ground, power, and speaker wires. The left side houses the terminals for the RCA cables, and switches for gain, crossovers, and bridging the amp. The Massive Audio D1600.4 was easy to set up. From wiring the power, ground and speaker wires, to the RCA's and setting up the gains and crossovers. Everything was well labeled and layed out, making set-up simple. The crossover used adds a lot of versatility as well, being able to use high pass, band pass, or low pass. So whether you want to power coaxials, tweeters, mids, midbass or subs, the Massive Audio D1600.4 can do it all. The massive Audio D1600.4 is one seriously massive amp in regards to power output. It's a 4 channel amp, rated at 300 watts per channel at 4 ohms or 400 watts per channel at 2 ohms. That's 1200-1600 watts out of a footprint of only 12 x 6.5 inches for a 4 channel amp. WOW!! As impressive as it is, the D1600.4 isn't for everyone. The primary audience is the professional audio and sound competition users. After all, the Massive Audio D1600.4 can easily power 16 speakers. Now that's what we call Loud! And from an amp this small!! While the Massive Audio D1600.4 is a clear contender for the pro audio crowd, it's also an amazing amp for the audiophile or car audio enthusiast as a whole system amp. While a 5 channel amp is preferred by many for powering a whole system, what do they provide? They typically max out at 75 watts per channel in the 4 channel section, and then usually only 300 watts for the sub. Maybe 500 watts for the sub, at 1 or 2 ohm, if you're lucky. That's not enough power for the enthusiasts. In 3 channel mode, the D1600.4 puts out 300 watts in 4 ohm for the front two channels, and 800 watts at 4 ohms to the subwoofer. That is exciting! On paper, the Massive Audio D1600.4 is extremely impressive. So naturally I couldn't wait to see how it performed. I threw a wide range of music genre at it, for some critical listening. And I was pleased to see the magic on paper continued in it's actual aural performance. Not only did the D1600.4 play loud, showing just how much power it had, it was really clean doing so. And it had plenty of reserves. The sound was not strained at all. Add to that the fact that the D1600.4 was also very transparent as well. So all of the small nuances I am used to hearing in my resolution rich tracks came out very well. The highs were clean, percussion was crisp, and flute had a lot of air. Midrange was also smooth with natural sounding vocals with good texture. Midbass had nice impact and depth. And the D1600.4 provided all the other sonic characteristics I like to hear, providing excellent dynamics, imaging, and a large soundstage. As stated before, this amp is not for everyone. For the average listener with just coaxials in the front and rear, and either no subwoofer or a small one...it's not for you. This amp would be too much power. But for the audiophile or enthusiasts with multiple component systems or high power components, and multiple subs it's perfect. I don't know of anyone who doesn't like music. And there are a lot of companies out there making car audio products. But for those that need it....Massive....well, that's where Massive Audio comes in. And the Massive Audio D1600.4 4 channel full range digital amp delivers that concept in spades. It's a well made product that flat out performs extremely well. Based on it's design, features, quality, and performance, the D1600.4 has earned our Editor's Choice Award. Kudos to Massive Audio for such a great product. For more info and complete specs, check out their website at www.massiveaudio.com. It has become so easy to take your entertainment with you. I remember when a 32 GB hard drive on the desktop computer was a large hard drive. Now you can get that much on your smartphone. But being so easy to take your music, photo, and video collection with you, your smartphones or tablets capacity may not be enough. And some devices don't have memory card slots for more storage. Enter the Kingston Mobilelite Wireless G2. It provides extra storage capacity that you can tap into wirelessly. Kingston also included a 64 GB micro SD card to test. The Kingston Mobilelite G2 came in a great looking colored box with photos of the device and specs. Construction was comprised mostly of plastic, but was of very good quality. Fit and finish was also very good, and it felt well made. I liked the two-tone look with black on the top and bottom, with white around the edge. Also included was the manual, USB charging cable and a micro SD to SD adapter. The Kingston MobileLite Wireless G2 is only a little larger than the size of a cellphone, yet it packs a lot of functionality. As stated before, it provides extra storage for your smartphone or tablet, that you access wirelessly. It also does media streaming that you can access your on a laptop. And it does even more, being able to be used as a portable battery charger, card reader, and wifi access point. With a selling price of less than $50, that is a HUGE bang for your buck! I was really excited to test the Kingston MobileLite Wireless G2 drive. And as is normal for Kingston products, performance was excellent! The MobileLite G2 works great as a battery pack to charge your smartphone, as well as being a card reader and wi-fi access point. I absolutely loved and was blown away with it's performance with it's extended storage and streaming, being able to access the music and multimedia on the micro SD card inserted into the MobileLite Wireless G2. I loaded the card up with content such as music, and having the drive in the middle of my large house on the first floor, I proceeded to test out it's wireless performance. I was utterly blown away! I started up some music on my smartphone from the drive, and began walking around downstairs. It didn't matter where I was, and how many walls were between me and the MobileLite Wireless G2. I never had a single hiccup. So I then went upstairs, and wandered room to room. Still, not a single hiccup. The music kept playing without a single drop. Now it had me very curious. With it still in the middle at my house, I went out my front door and into my front yard...still no drop. So I proceeded to walk to the end of my cul de sac. I reached the end of my cul de sac witch was around 450 feet away from the drive and multiple walls in between, and still not a single drop! So now I turned the corner and kept walking. It wasn't until the corner house got between me and my house at the end of the cul-de-sac, that I lost signal. The only glitch is it didn't reconnect until I got back inside. But the range it has was mind boggling! The Kingston MobileLite G2 was very simple to set up. First you have to download the Kingston MobileLite app onto your smartphone or tablet. Once installed, it was simple to sync up the drive to my HTC One M9 smartphone. The small LED's on the side made it easy to see the drive's status. The Kingston SDCA 64Gb microSD card is a U3 high speed card rated for use with devices up to 4K2K resolution and is rated at up to 90 MB/s read and 80 MB/s write. It also performed well with the various tests. While doing content transfers onto the card I could tell it's a speedster. And with reading it never went under 90 MB/s, averaging close to 93 MB/s. As you can see, the usability of the Kingston MobileLite Wireless G2 is huge! Many people use their smartphone for everything including photos, music, and video. If you are one of those users, and happen to also have a smartphone or tablet that has no memory card expansion slot, such as the iPhone or iPad, getting a MobileLite G2 is a no brainier, this is especially true for women, where it's easy to keep it in your purse. And you get the added benefit of having a mobile charger with you! Based on it's design, features, quality, and performance, the Kingston Wireless MobileLite G2 earns our Value Award, as it delivers such a huge bang for your buck. For more info and complete specs, check out their website at www.kingston.com.